Dr. Sarah Day, a Shreveport native, has cultivated her childhood love of animals into an enjoyable and rewarding profession. She attended Louisiana Tech University for her undergraduate degree in Animal Science with a Pre-Veterinary concentration. Upon graduation she was accepted into the Louisiana State University School of Veterinary Medicine class of 2012. Dr. Day joined the staff of South Park Animal Hospital in June of 2015. She purchased the practice from Dr. Gregory Gill in April 2016. The furry friends in her life make quite a menagerie: Duke, a Westie; Pearl, a Jack Russell terrier mix; Emmilou, a Shih Tzu mix; Fisher, a long haired tabby cat; and Mingo, a talker of a cat. Dr. Day enjoys all aspects of the veterinary profession, but soft tissue surgery, ophthalmology, and feline care are favored aspect. 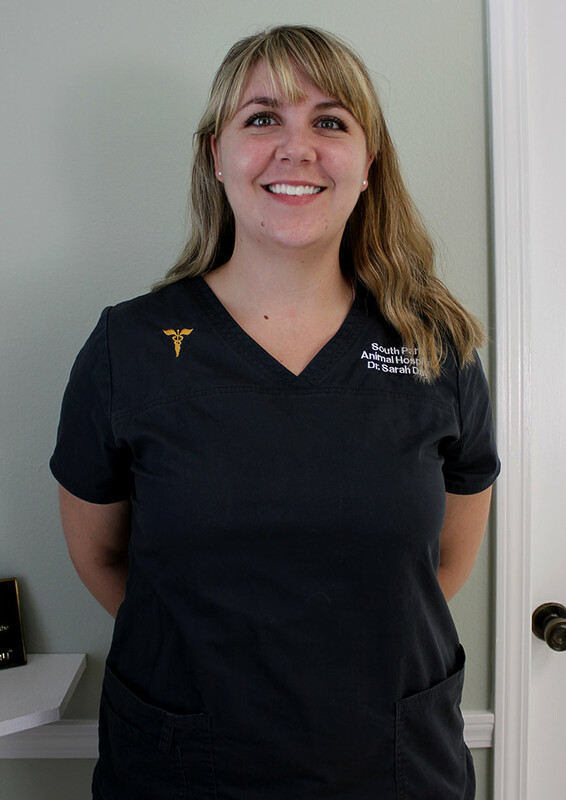 She is a member of the American Association of Feline Practitioners, Northwest Louisiana Veterinary Medical Association, the Louisiana Veterinary Medical Association, and the American Veterinary Medical Association. Her goal is to provide quality, compassionate care to her patients in every stage of life.